Mrs. Funke Adekoya, SAN is a partner in the prestigious Nigerian law firm 'AELEX" and she began her law career at the University of Ife where she graduated with honours after attaining her LL.B in 1974. She was called to the Nigerian Bar in 1975 before proceeding to study an LL.M at the prestigious Harvard Law School, Boston, Massachusetts, USA in 1977. Mrs. Adekoya became a Solicitor in England and Whales in 2004 and her practice areas include: Commercial Litigation, Corporate Dispute Resolution, Business Turnaround and Corporate Insolvency, Competition Law and Policy. Mrs Funke Adekoya was appointed as a Notary Public in 1986 and became the 5th woman to be elevated to the rank of Senior Advocate of Nigeria (SAN) in 2001, She became a Member of the Body of Benchers in 1999 and was elevated to Life Bencher in March 2007. Mrs Adekoya has a long list of awards which she has received in the course of her work such as being nominated and voted as the Most Outstanding female legal practitioner of the year 2007 by Financial Standard Newspaper and Women Entrepreneurs African Network. She was also nominated and voted as currently the 2nd Vice Chairman of the Nigerian Branch of the Chartered Institute of Arbitrators. Has represented parties as counsel in several arbitration proceedings and acted in numerous disputes as either - party appointed Arbitrator, Sole Arbitrator and Presiding Arbitrator. She also regularly lectures on arbitration law and procedure and has been approved by the Chartered Institute as a Tutor at the Associate/ Entry Course level. Also acts as visiting Faculty at the Centre for African Law and Development Studies, Lagos where she lectures on arbitration and Civil Procedural issues. As a litigator, she represents clients regularly before the Nigerian courts at all levels, and has provided expert opinions and appeared as an expert witness on Nigerian law issues before the courts of England, United States and Turkey. Mrs Adekoya is the 1st Vice President (2002/04) of the Nigerian Bar Association, and has served the Bar Association as Assistant National Secretary (1979/80), Secretary Lagos Branch (1984/85, 1985/86), National Treasurer (1990/91, 1991/92), and represented the Nigerian Bar Association at the Consultative Assembly on the Reform of Company Law in Nigeria (1989). Mrs Adekoya is a Member, National Judiciary Committee of the NBA (2001); Member, of the Editorial Committee that produced the Companies and Allied Matters Act in 1990; Member, of Lagos State Government Committee appointed to review and draft new High Court Civil Procedure Rules 2004. Funke Adekoya is a life member of the International Federation of Women Lawyers (FIDA); Member, of the International Bar Association's Legal Practice Division (Arbitration and Business Organisations Committees), Professional and Public Interest Law Division (Law Firm Management Committee. She is a Council Member of the Professional and Public Interest Law Division and the Deputy Secretary General [Africa West] for the IBA. She is also a Fellow of the Chartered Institute of Arbitrators, UK (2002); Member, Practice Management and Technology Committee Section on Legal Practice Nigerian Bar Association(2005). 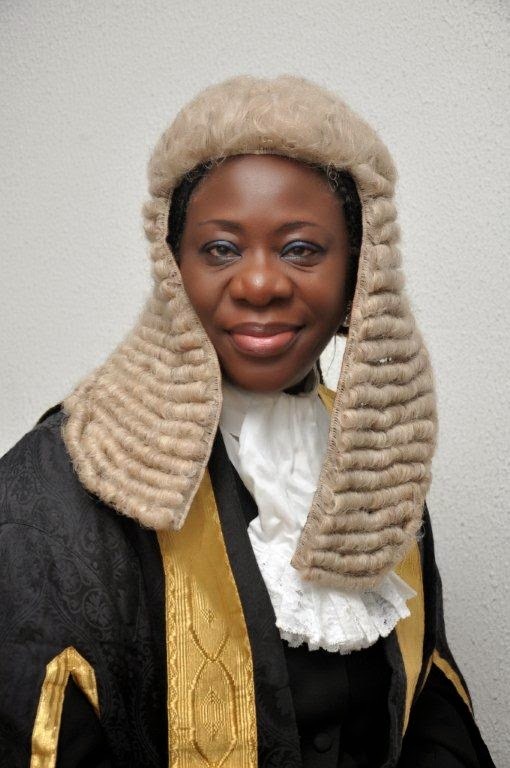 Mrs Adekoya recently contested for the position of the President of the Nigerian bar Association.